I am delighted (and very apprehensive) to announce that I will be publishing the first book of my work in early 2019, with the help and support of my very good friend Greg at Kozu books. We will making pre-orders available on the 1st of December. I have plans for some very special editions for collectors, along with more basic editions for those wanting just the book. In conjunction with this I am also announcing today that I will be holding my first major solo exhibition in London. This will be at the beautiful Menier Gallery close to Tate Modern and The Shard running from the 17th to the 22nd June 2019. Apart from being a perfect space to exhibit, I chose this location because 100% of the profits of the gallery go to support the Paintings in Hospitals charity, which does excellent work in helping both patients and staff in many ways through artistic growth and expression. 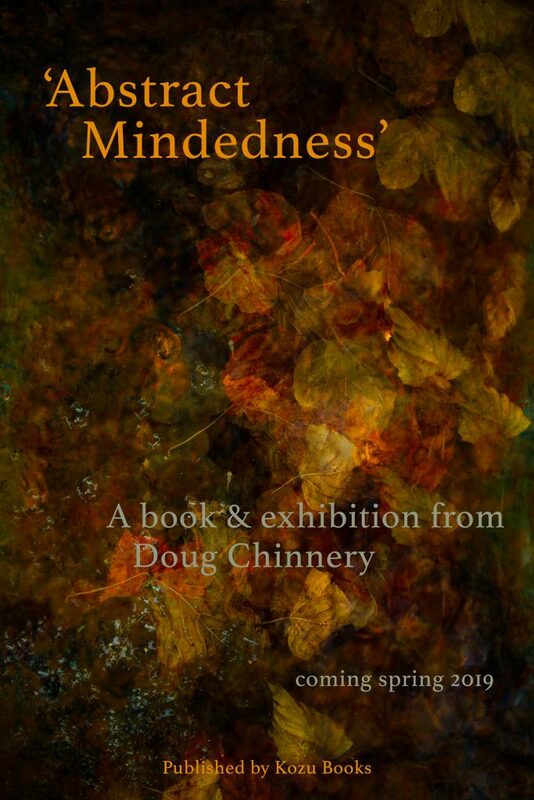 The title of the book and exhibition is ‘Abstract Mindedness’. I have chosen this to tie in with the project it will be featuring. As many of you know I experienced a nervous breakdown in early 2018 and am still only partly recovered. 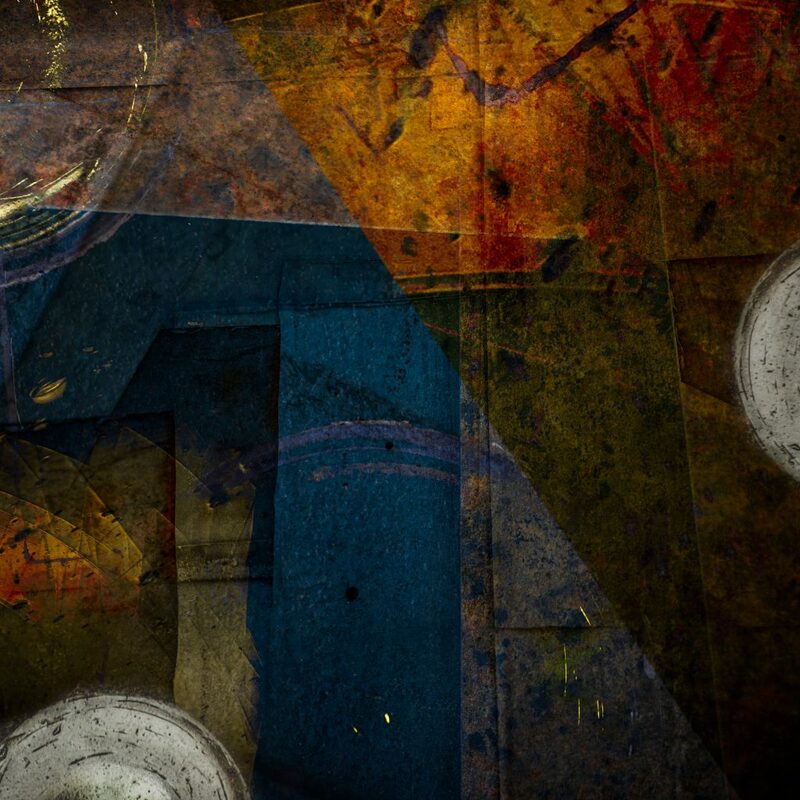 I decided some months ago to see how the illness affected my work and so set about a project which will last 12 months, from around the time of the breakdown until just before publication. It will also include some of the words I am writing to accompany the images through the year. It might sound like a bleak subject for a project and you might expect all of the work to be dark and morose – but I am interested already that, despite what you might think, I am not necessarily making gloomy images when I am deeply depressed and sunny cheerful images when I feel brighter. Such stereotypical results are not coming through – which ties in with this not being the stereotypical illness that many people perceive it to be. I am half way through the project. Some of the work is selected but much has yet to be made and it is both exciting and little atychiphobic to think of this (yes, I had to look that up). Most exhibitions and books are announced when the work is made – the images sure and definite. I hope what I do between now and the end is worthy. If not, I am in big trouble. I also wanted to mark a year on from the breakdown and help others suffering similarly, especially young people coping with mental illness, and so 100% of the profits from the book and the exhibition will be going to support the Young Minds charity. In addition to this, in an effort to raise more money for them, and to mark the fact I have lost over six stone in weight (and hope to have lost more by next spring), I am going to do a sponsored walk up Snowdon in North Wales. I thought, due to my weight and health I would never see the top of a mountain again, but now I have the chance. So on 30th April 2019, I will be making my big ascent. If you would like to join me, you are most welcome, especially if you have donated to Young Minds via the Just Giving page I have set up which sends the money directly to the charity. If you are a tax payer and tick the Gift Aid box, the government will add another 20% to whatever you give at no cost to you – which would be really great. You can find my Just Giving page HERE. I would like to thank all of you who sponsor me in advance. I love you forever and really appreciate it. A final plea, (and I am being a bit cheeky with this), but I want as much money to go to the charity as possible and I have my usual reticence about my work selling. The hire of the London gallery is rather expensive so it would be wonderful if any companies or individuals might like to sponsor the show as a way of reducing the outlay – either by providing products or by a small donation. Anything at all would be much appreciated and help me towards my goals, but I will cover anything that I can’t raise. If you would, please EMAIL ME. I also would also really appreciate it if you could share and retweet my posts about the book, exhibition and walk – I will try not to make them too frequent or repetitive – but it is shares and retweets rather than likes which are most helpful to a cause like this – again, I will notice every one and love you always. I may also be on the prowl for help with invigilators, waiters and waitresses on the private view evening (to which you are all invited, naturally) and so on. The private view will be on Tuesday 18th between 6 and 8pm’ish. There will, naturally, be sustenance and liquid refreshment for hungry and thirsty photographers and art lovers. More of which later. The spring of 2019 is going to be a important for me in hopefully completing these projects, helping to raise awareness of the issues of mental health, helping others with mental health problems and perhaps giving me an opportunity to move further away from the worst effects this illness has had on me. It is giving me a focus at least. I already have many people who have been quietly supporting and helping me confidentially with the early stage planning. I couldn’t have got to even this point without them. Greg at Kozu books has been supportive, patient and a driving force behind the book. He is going to allow me to blog about the whole process of making the book, in case you are interested. Maria and Chris at Tan-y-Foel in Betws-y-Coed, quite simply the finest bed and breakfast in North Wales (don’t stay anywhere else please – it is a haven of peace, with the added bonus of Pip, the loveliest of dogs, and the ‘loo with a view’) – they have been so kind and helpful with the early planning for the ‘Big Walk’. My very best of friends, Terry, Valda & Bill, who have stuck with me when I have been at my lowest, bleakest worst. Who have listened, cajoled, encouraged (and dragged) me through this awful year. I am forever indebted to them and will never be able to repay them. And finally Chris Friel, who has, despite his own tragedies, been a good friend and empathetic ear throughout the darkness – his suffering makes mine pale into absolute insignificance and yet he still understands, offers support and friendship. I am in debt to them all.